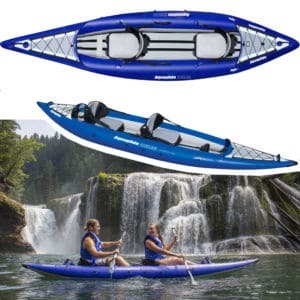 The Columbia Series is designed for recreational touring and all-around use for paddlers. 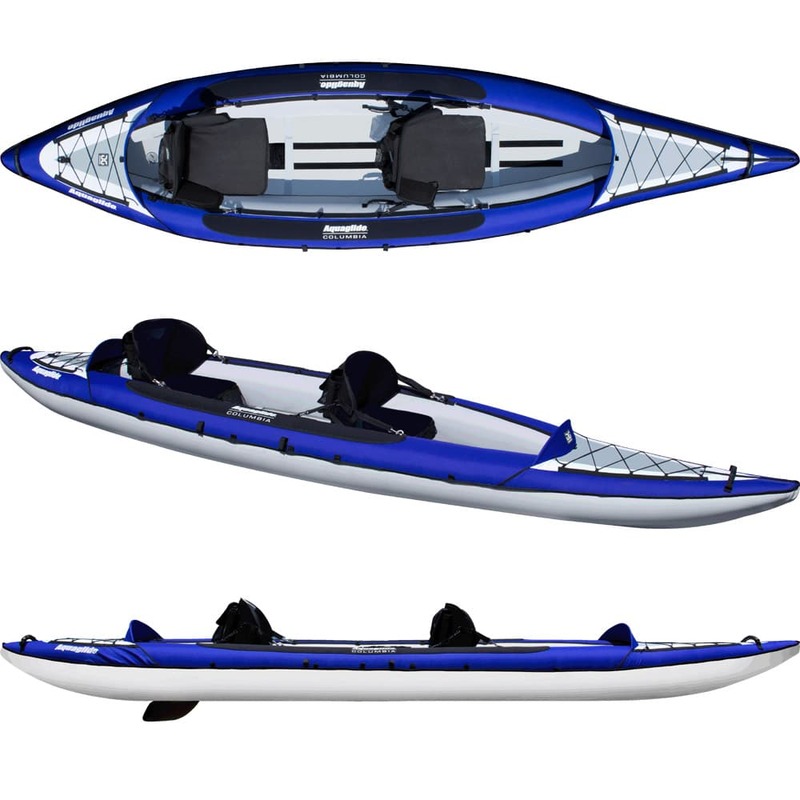 Loaded with convenient features, Columbia XP are among the most popular boats. 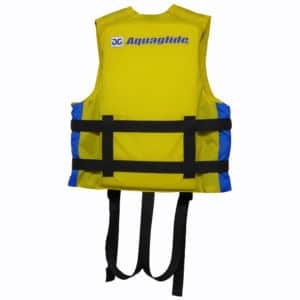 The long waterline, flat rocker and fine, piercing bow provide outstanding tracking ability and great glide to cover long distances with ease, so you can get on the water faster. The XP floor™ construction uses an inflatable chamber with Aquaglide proprietary X-beam Technology that mimics that of a sturdy hard shell kayak. 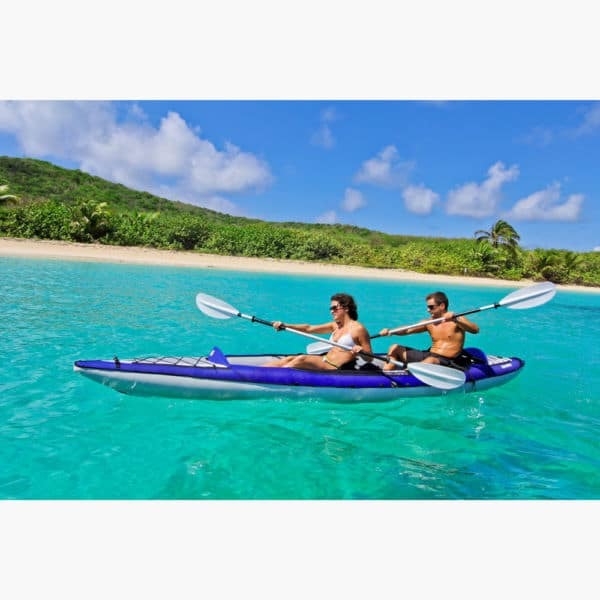 Our custom made Duratex™ hull material is blended with rugged 600d polyester for long-life and UV protection so that you can enjoy your kayak for years of adventures to come. 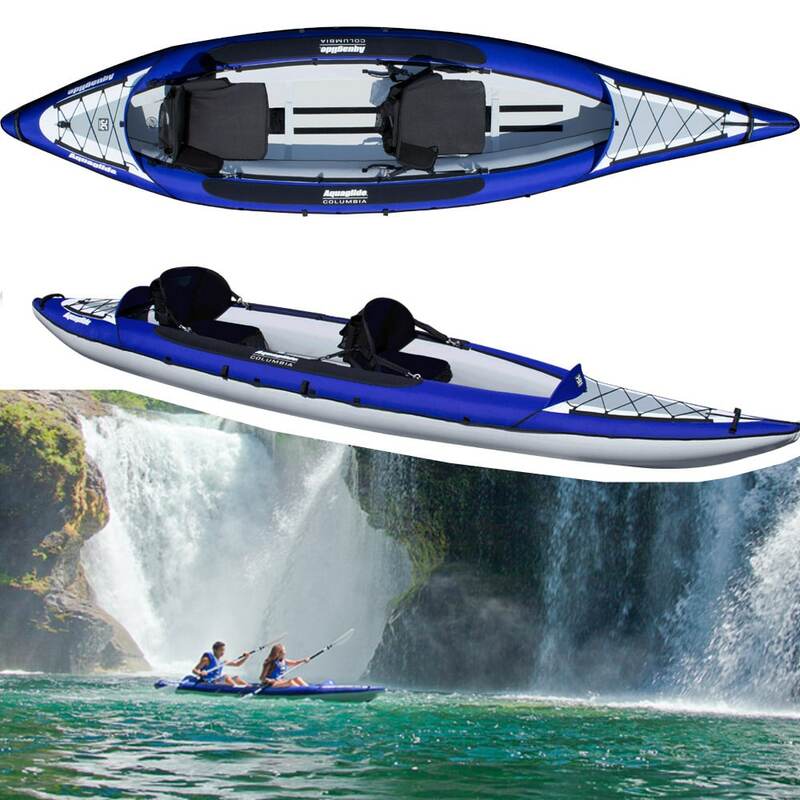 The integrated Splash-Guards™ positioned fore and aft help keep paddlers dry while ample accessory straps grace the bow and stern for easy stowage of all your gear essentials. 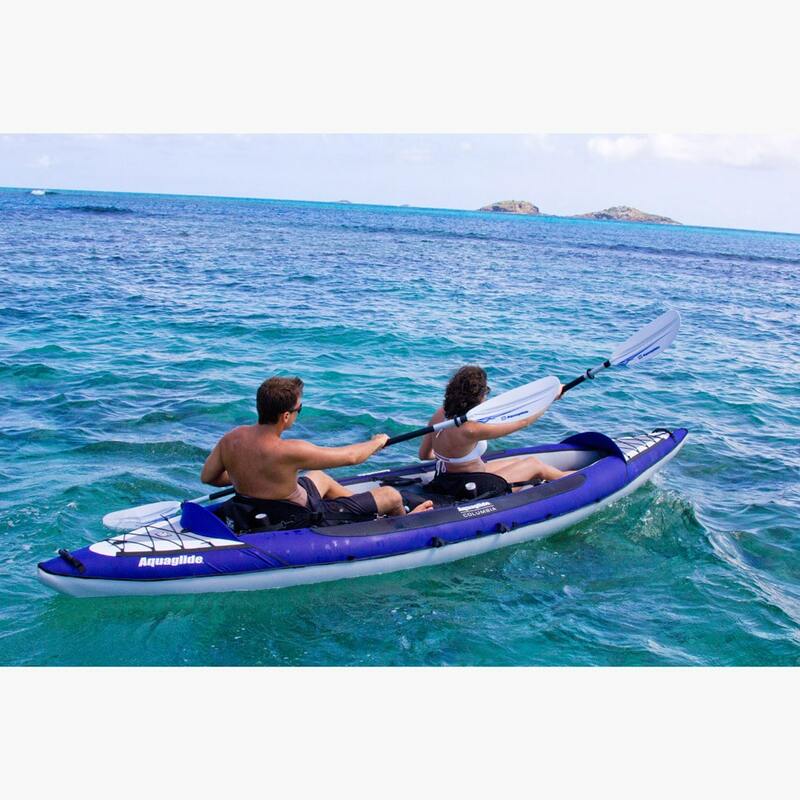 The sturdy molded handles are positioned around the boat for easy boarding and transport. 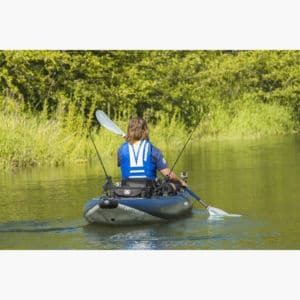 We also made sure that our Durable Core™ seats will provide you with the utmost comfort with high backrests, plentiful mesh storage pockets, integrated fishing-rod holders, fore and aft seat straps and an infinite adjustment system. 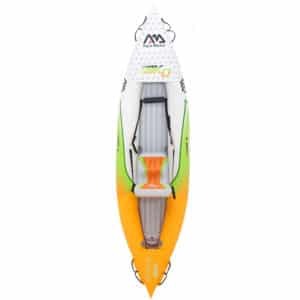 Fin system includes stiff, foiled performance fin with unique quick-release for easy setup. Convenient travel backpack included.